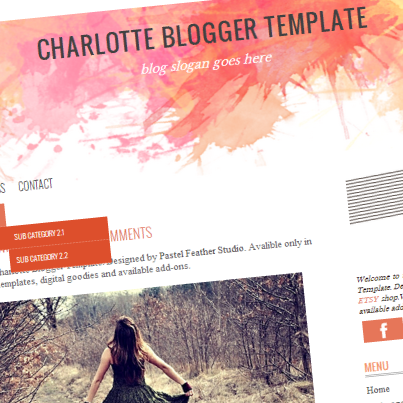 New blogger design in etsy shop - CHARLOTTE BLOGGER TEMPLATE. 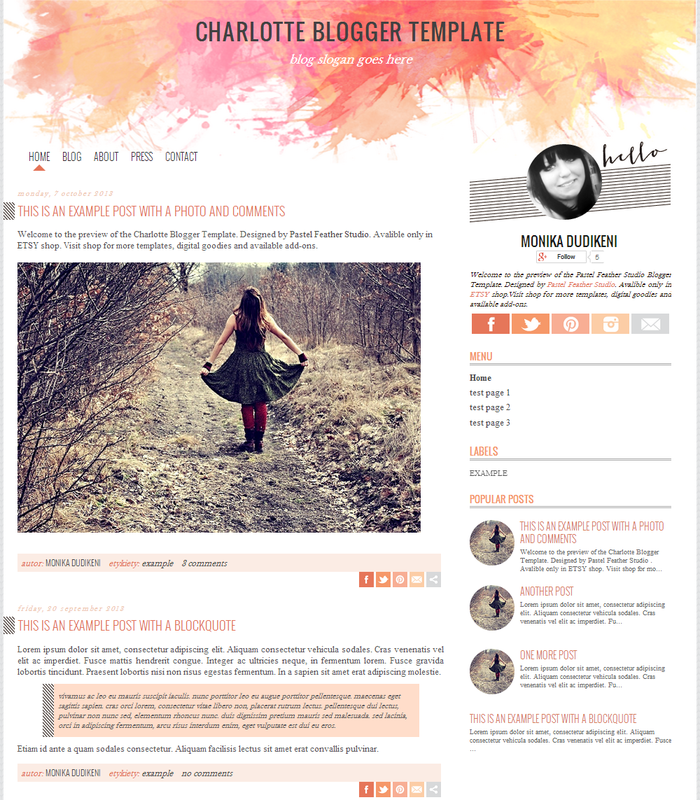 Oh-aaaaaa, I'm happy that my project is finally online, and that I can share this with you, my shainies. I learned a few new things in the coding, and I am very happy with the result. I played a little in Photoshop with watercolor brushes and their transparency. 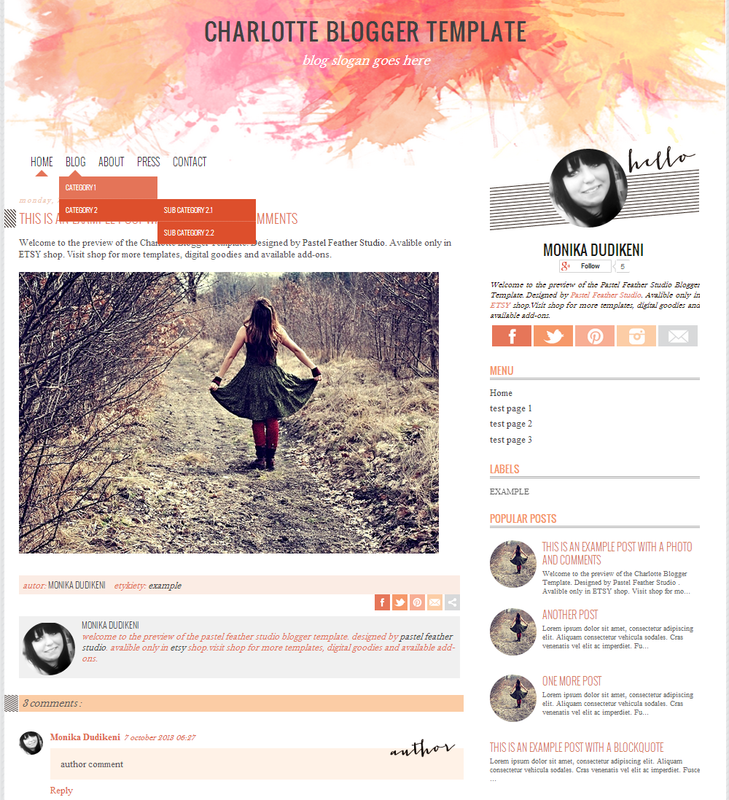 Create this gave me a great pleasure and satisfaction. How your impressions? Do you like this combination? Do you think that the colors and water colors fit together? Apart from my personal tastes ^_^ I find that the simplicity of the template is great! Easy to read, clear, light to download. I saw the demo blog and it works perfectly. Love the cascade menus. Love the round pics on popular posts section. I actually love all! Great job! I'm gonna promote this! Thank you very much for your insightful opinion.